Some active, athletic kids seem like the Energizer Bunny. They turn on in the morning and go-go-go all day long, through school and sports. That’s why it is concerning when your normally busy child who loves to run and play starts complaining that his or her heels hurt too much to participate. This painful problem may be the result of Sever’s disease. Heel pain for adults and heel pain for children aren’t necessarily the same thing. 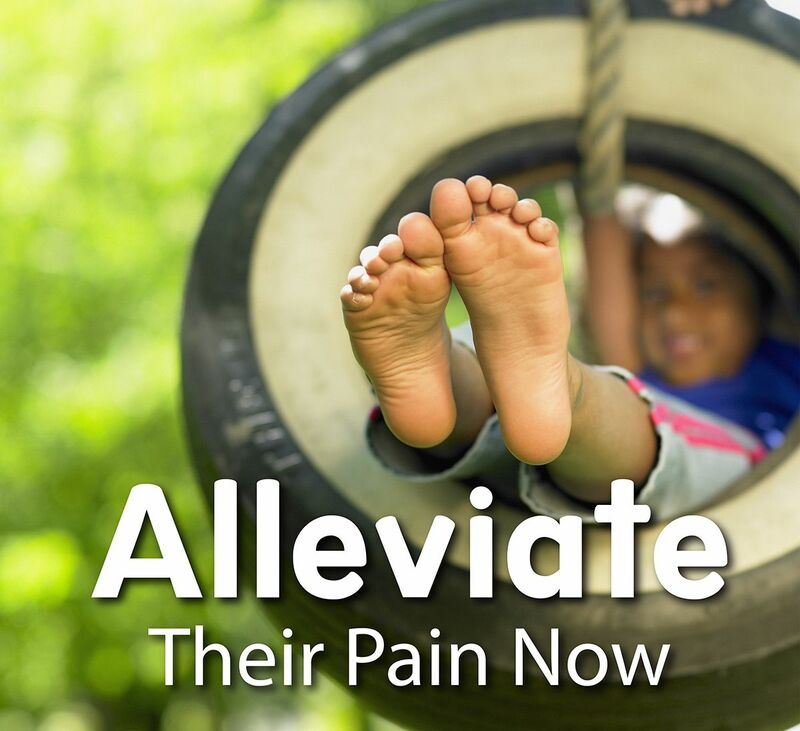 Children’s heel pain can have several underlying causes, including one that only affects still-growing kids: Sever’s disease. The name of the condition is misleading; it isn’t a disease at all, but an overuse injury. Medically called calcaneal apophysitis, it is an issue with inflammation in the heel bone growth plate. It can affect any child, but it usually impacts active, athletic children whose feet are growing. All bones have growth plates. This is a line where new tissue is created to make the bone bigger. When your body is done growing, these lines harden and fuse with the rest of the bone. Typically the feet grow a little faster and sooner than the rest of the body. Between roughly the ages of 8-14, the feet can grow faster than the tendons and ligaments attached to them, which can stress those structures. The Achilles may then pull a little too tightly on the heel bone, potentially aggravating the vulnerable growth plate. Repetitive hard impacts and stress on the Achilles and heel bone from sports or other activities inflame the plate even more. As a result, your child develops significant pain in the back and possibly underneath the heel. The discomfort is usually worse after running around or being active, and improves somewhat with rest. You may notice your child has difficulty participating in sports, or no longer wants to because of the discomfort. He or she might try walking on the toes, too, to avoid putting weight on the painful heel. Sometimes the back of the foot might be uncomfortable enough to cause limping. Eventually your child will outgrow Sever’s disease, since the problem can’t bother him or her once the growth plate has sealed. The good news is that you don’t have to wait that long for relief for your child. Conservative methods have been very successful for treating this condition. First, our podiatrists Martin Foot and Ankle will examine the foot to accurately diagnose the condition and its extent. Then we can move forward with an accurate treatment for your child. The main goal of treatment will be to eliminate the inflammation and alleviate the pain. Your child will need to take a break from any activity that causes discomfort, including sports. Reduce the shock the foot absorbs and support the heel, too. This may mean changing shoes to styles with more cushion in the sole, or using padded inserts. Custom orthotics may be best of all, since they can be molded to fit your child’s exact needs. Your child will also need some physical therapy. Stretching to lengthen the too-tight Achilles will be key. Help your child stretch first thing in the morning, then periodically throughout the day. Ice the back of the foot when it hurts to alleviate some inflammation. If the pain is persistent, we may recommend child-safe pain medications. In severe cases, your child may need to have the foot immobilized to reduce the pressure on the heel and get relief. Sever’s disease can take your active child out of the game and keep him or her watching instead of participating. You don’t have to stand by while your son or daughter suffers with children’s heel pain. Contact Martin Foot and Ankle in York, Hanover, and Lancaster, PA, for an appointment to take care of the problem. Call (717) 757-3537 or use the web request form to reach our podiatry team today.